Despite the obtusity of their name, The World Is A Beautiful Place And I Am No Longer Afraid To Die was always quite sincere and poetic to me. That, and undoubtedly sarcastic. Unlike in 2009, when the Connecticut band formed, that name's satisfying destiny doesn't ring true anymore. With Obama in office, it seemed as if the United States was moving in a more peaceful direction. In 2017, a different language litters the landscape, as division, hate, and violence continues to pull two halves apart. The world is no longer a beautiful place. Abiding by the band's ideology, with more work needing to be done, death is now not an option. Like many other artists, the band retaliated in response to February's inauguration of Donald Trump with the track 'Body Without Organs.' It doesn't appear on their third LP Always Foreign, but the resenting tone does throughout. 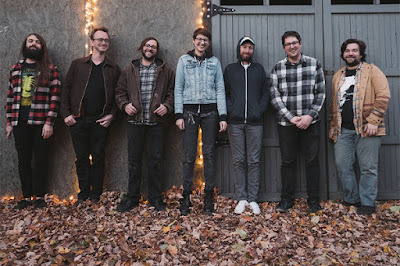 Musically, the progressive, Midwest Emo band uploading traditions set forth in the counterculture scene of a decade ago continue their acclimation to the present, where the Emo fad fractured into the ostentatious pessimism of the hipster age and the uncompromising cynicism of the Metal one. It's their least impressive work yet, as petulance clouds their judgement elsewhere. It should be noted upfront that, regardless of the quality of music on Always Foreign, their intent is honest and respected. As the name and cover indicate, Always Foreign takes up umbrage with Trump's contentious and threatening belief on illegal immigration, and the systemic roots by which that fear stems. For the first week of release, The World Is...'s label Epitaph will match any and all purchases or donations, sending the proceeds to the Immigrant Defense Project. A noble cause that, to fans of the band, does not go unnoticed. However, to the masses, especially those of Latino descent in South American countries, the work of an Indie band of white, middle class, New England liberals likely won't reach them. Cynicism aside, their failure to 'die' when the world gets uglier, standing up for those without a voice, is a commendable action that presents itself strikingly on Always Foreign's standout 'Marine Tigers.' The album's second single, and its longest track, doesn't slouch on driving the initiative. With multiple lofty passages, Post-Rock orchestral arrangements, unified background vocals akin to Art Pop minimalist Son Lux, and lyrics that yearn for compromise, 'Marine Tigers' shines with the power of loving thy neighbor. Unfortunately, the meticulous ideas laid bare on 'Marine Tigers' offers no surplus for the rest of the LP. This is where David Bello's presence as both vocalist and lyricist come into question. 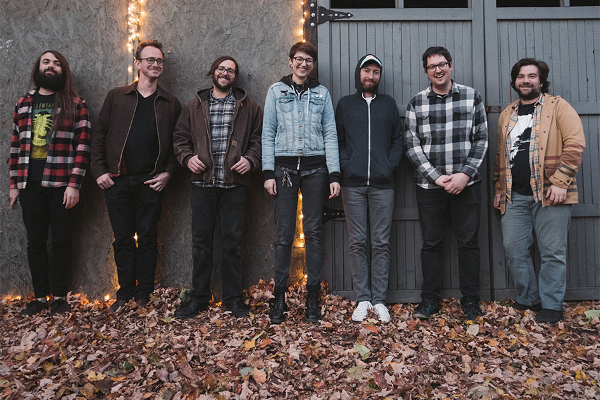 Unlike 2015's Harmlessness, a record that further amalgamated the band to Indie Rock, Always Foreign, at times, feels like a regression to the still-irritating stylings of their Midwest Emo roots. Take 'Gram,' a track that, if it weren't for the underlying orchestration, would fit snugly alongside the melodramatic Pop Punk of the early 2000's. Bello's whining vocals and oblivious lyrics are the primary cause for this gawkiness, as we see elsewhere on the soapbox snootiness of 'Hilltopper' or the hammy hollowness of 'For Robin.' The latter, Always Foreign's only acoustic track and only poetized memoir, is also its worst, a disappointment considering the strength of similar tracks on Harmlessness like 'You Can't Live There Forever' or 'Willie (For Howard).' Bello's timeline dotting on 'For Robin' holds no significant value to those outside his inner circle, as names of meaningless descent come and go without a reason to pull the average listener in. Thankfully, it stands out from the rest of Always Foreign, an album that typically sides with upbeat Pop Punk and overtly tender Indie Rock. We see each sub-genre splayed out across the underlying Post-Rock that guides the production. At this point a revolving door of one-note instrumentalists, The World Is...'s band composition is broad and heterogeneous, much like Post-Rock purveyors Godspeed You! Black Emperor. Slight comparisons can be drawn to their recent LP Luciferian Towers, not in terms of quality or resonance, but predications based on lyrical content had GY!BE featured a vocalist. Their press release condemned the actions of President Trump, demanding, amongst other things, "an end to borders." Their passion is analogous, which makes their differing approach an insight to the power of implied emotion. Bello's sobs of "I'll make everything look like it's happy, I'll make everything look like it's rad" on the intro 'I'll Make Everything' feel parallel to GY!BE's feigned and fearful 'Fam / Famine,' despite the former losing paramountcy due to a slew of unsavory lyrics. Excluding 'Marine Tigers,' the other track that owes a great deal to Post-Rock is the finale 'Infinite Steve.' Not surprisingly, this is Always Foreign's second best track. The instrumentation is arresting at times, the structural shifts fine and nuanced. And once Bello's yelps fade into muted ennui, 'Infinite Steve's' ending is one both lovely and meritorious. There's just something about the upbeat buoyancy elsewhere that dilutes the power of the ending. While 'Fuzz Minor' embeds itself between 'Marine Tigers' and 'Infinite Steve,' a track that's fairly harmless, the three-track run closing the album is quite insurgent and demanding. It's because of that though that the peppiness of 'The Future' or 'Dillon & Her Son,' for example, dilute the experience overall. 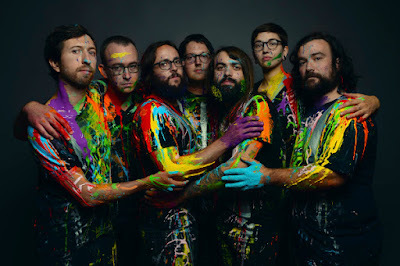 The former, inviting some quarrelsome behavior with the contentious lyrics ("execute the Queen" begins the track) over laid-back Punk Rock akin to Titus Andronicus, the latter introducing some sugary synths and dueling vocals to the mixture that's decisively not disobedient. That being said, on their own I actually quite enjoy both of these tracks, especially the rousing 'Future.' However, within the context of Always Foreign these bright diversions don't really work. The album does implore unification, 'I'll Make Everything' does end by stating that this is "a story of love" after all, but nothing until 'Marine Tigers' initiates the necessary revolt to do so. Always Foreign comes from a genuine place of love and forgiveness. Problem being, the music doesn't strike the balance to match, and the lyrics are nothing more than an inconsistent pool of impassioned cries. "white, middle class, New England liberals"
I'm literally a white, middle class, New England liberal. I think I'd know if they were too.